1. Wash and dry apples. 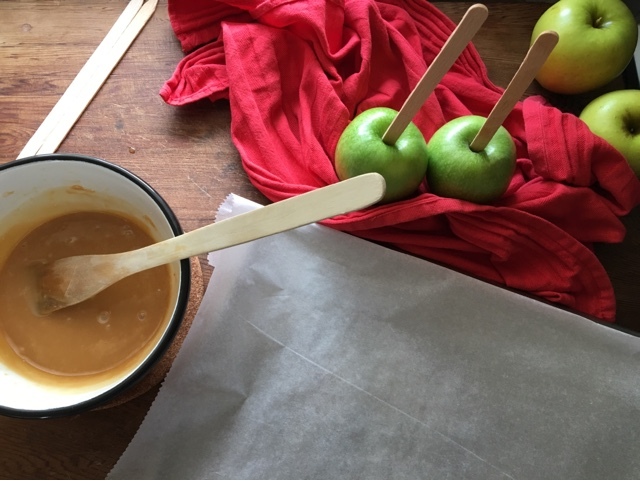 This is one of the most important parts, the apples need to be very dry. 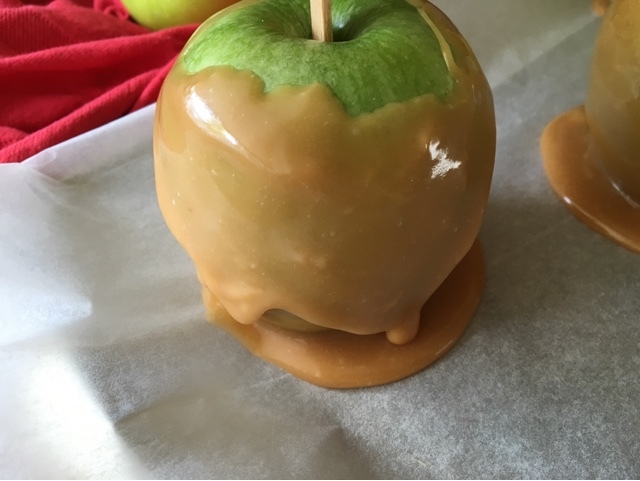 Insert craft sticks into apples. 2. Combine caramels and water in a saucepan and cook over low heat stirring constantly until caramels melt. 3. 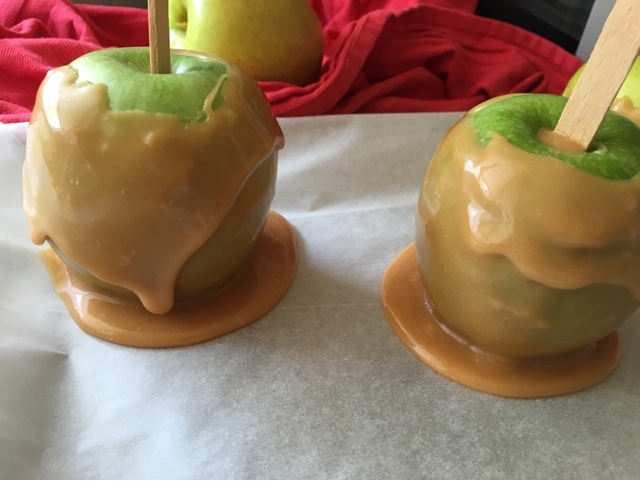 Dip apples into caramel mixture. 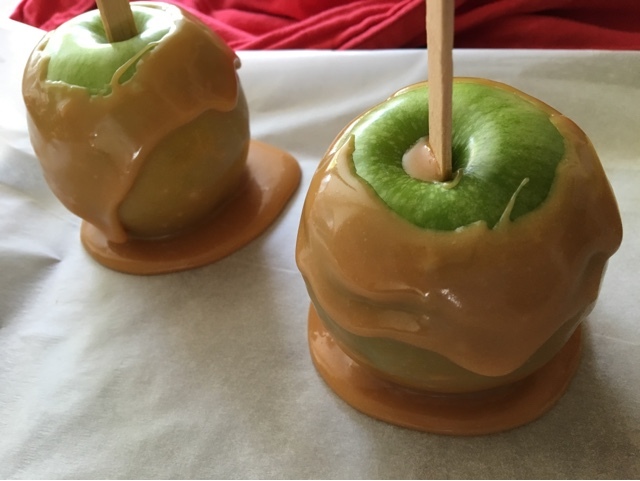 Place caramel apples onto parchment paper lined plate and refrigerate until set. 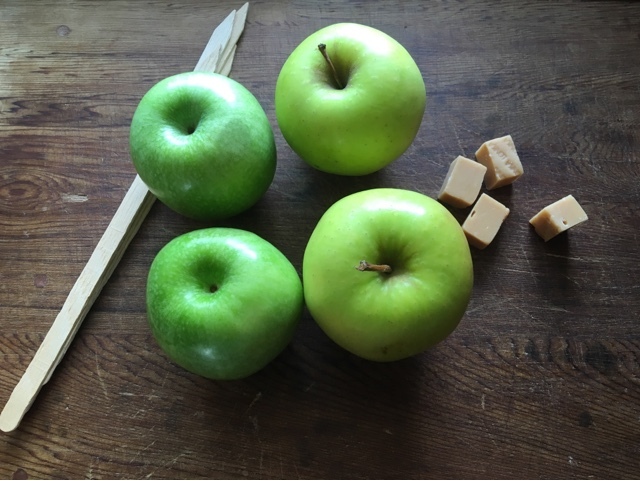 Double or triple recipe for more apples.